One of SharePoint’s nicer features is a rich alert system which supports change driven e-mail based alerts. Configuring SharePoint and Exchange Server 2007 to e-mail alerts is relatively straight forward for internal e-mail clients (I.E. 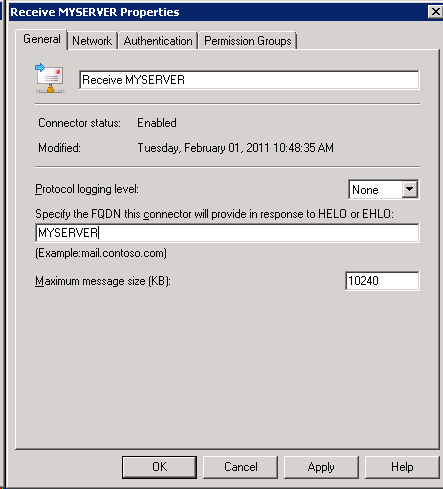 those e-mail clients which are actually hosted by your Exchange Server). Configuration becomes much more difficult if you are attempting to alert SharePoint users at e-mail addresses which are NOT hosted on your Exchange Server. To accomplish this feat, you must relay the e-mail. Your e-mail address is internal@yourcompany.com. Your SharePoint install at http://portal.yourcompany.com is setup to alert you of any changes to your document libraries. All is well in the world! 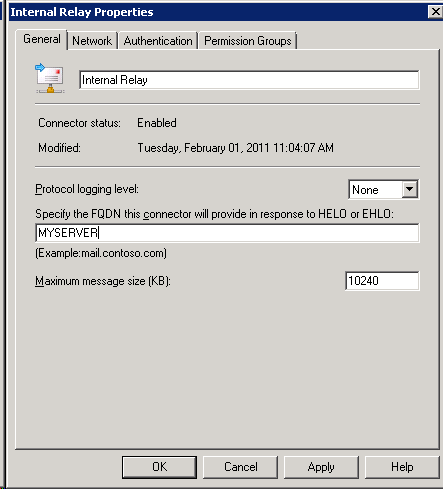 A new user is introduced to your SharePoint user list with an e-mail address of external@hotmail.com. This new user reports he is not receiving any alerts from SharePoint. #160009: The e-mail address ‘external@hotmail.com’ is unknown. Enable relaying for your SharePoint server. Easy huh? Well… sort of. Open the Receive connector and note all of the settings on each screen. Take good notes as you will need the settings later. Remove the receive connector by right clicking on the connector and selecting Remove. Why do we do this? Because Exchange Server 2007 appears to process the receive connectors in the order they were created. 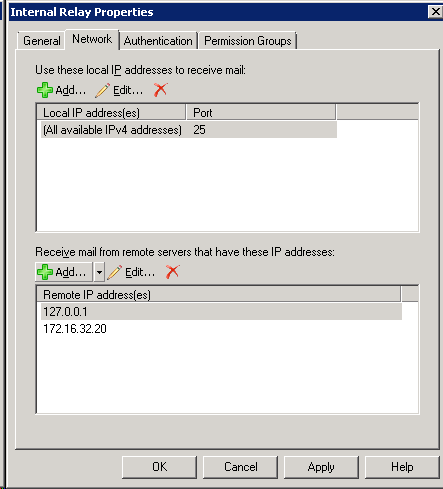 In the standard install, the default Receive Connector is configured to receive e-mail from ALL IP addresses. If you add the Relay Receive Connector AFTER the default connector, it will never be processed. You want your Relay to process first. Click New Receive Connector on the Action Bar located at the right of the Exchange Management Console. Name the connector, click Next. On the Local Network settings screen, modify as necessary. On the Remote Network settings screen, remove the default settings by click the red “X”. Add in the IP address of your internal SharePoint sever. Click New to create the Receive Connector, then click FinishBut wait, you are not done just yet! Make sure all other check boxes are NOT checked. Verify you can still send e-mail. Verify you can still receive e-mail. Verify SharePoint is now sending alerts to the external e-mail. Verify you have no open relays. This can be completed via any of the available open relay tests on the internet. This entry was posted in Exchange, SharePoint on February 1, 2011 by ArmgaSys. thanks for sharing, it working for sharepoint server. 451.5.7.3 cannot archive exchange server authentication.